Proceedings of the Seventh Vertebrate Pest Conference, (VPC-1976). Published at the University of California, Davis, Published 1976. 323 pp. 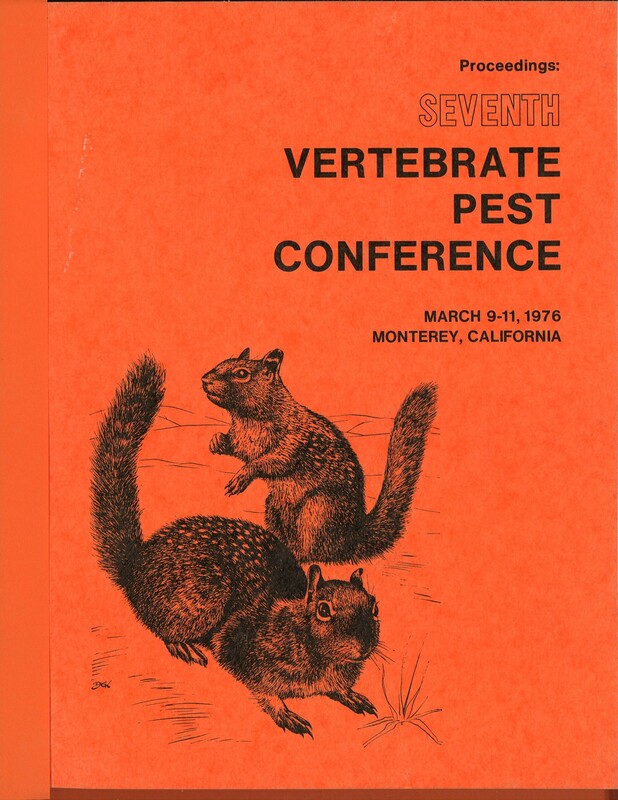 Proceedings of the 7th Vertebrate Pest Conference March 9-11, 1976 Monterey, CA, arranged by the Vertebrate Pest Conference. Editor Charles C. Siebbe and Assistant Editors Walter E. Howard and Rex E. Marsh. Description: The Role of Private Consultants in Vertebrate Pest Problems in Canada, Vampire Bat Control Programs in Latin America and Avoidance of Prey by Captive Coyotes Punished with Electric Shock.